Neviyah and I have the best conversations when we lie in bed at night. Last night, Neviyah wanted "scary stories" because she "just likes them." 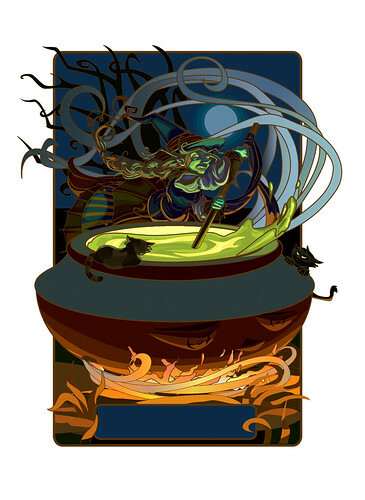 I began, "Once there was a witch who was very hungry and decided to make her great-great-great-great-great grandmother's Witch Stew. What did she put in first?" Thus began Neviyah's ingredient list which included these items, written exactly as she spoke them. Then she proceeded to pretend to stir the pot, taste (it was apparently delicious) and giggle which gave way to a laugh which gave way to undoing all of the hard calming-down-to-get-ready-for-bed work! I asked her what she would put in a healthy stew, to which she replied, "I TOLD you already, Mama!" and proceeded to re-list the Witch Stew recipe and another giggle war began. Such fun we have! Please post a video of Nevi telling us how food turns into poop.